Our felt flower expert Krista has done it again! A few days ago we shared her felt coral charm peony flowers. 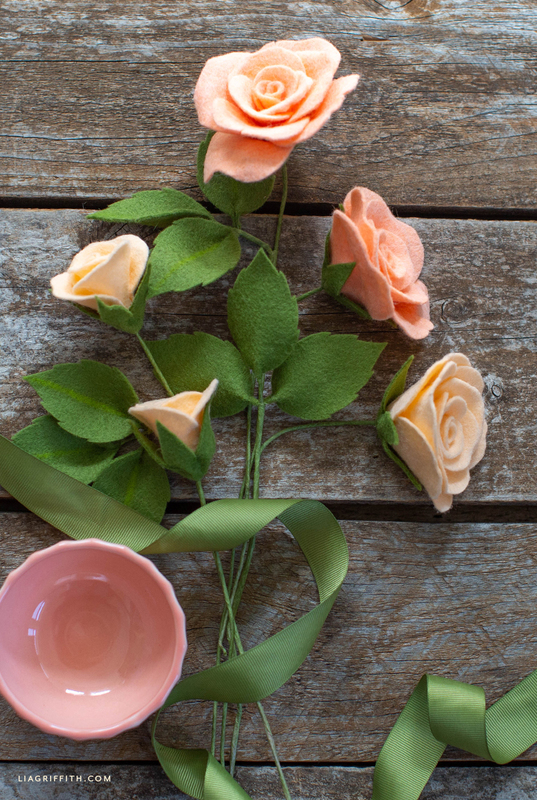 And just when we thought felt flowers couldn’t get any prettier, she made these felt tea roses and buds. 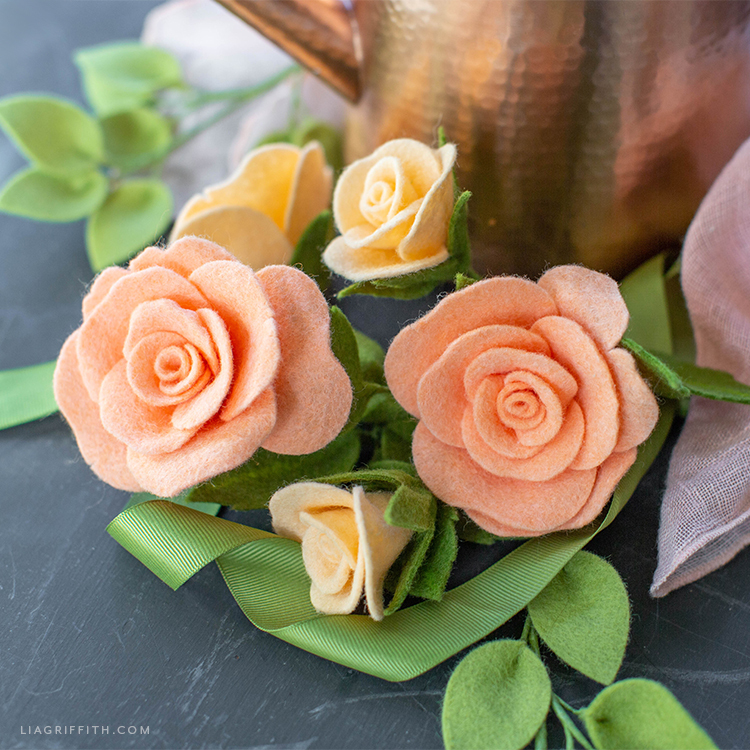 These flowers are an intermediate DIY craft project—perfect for anyone who has made some felt flowers before. 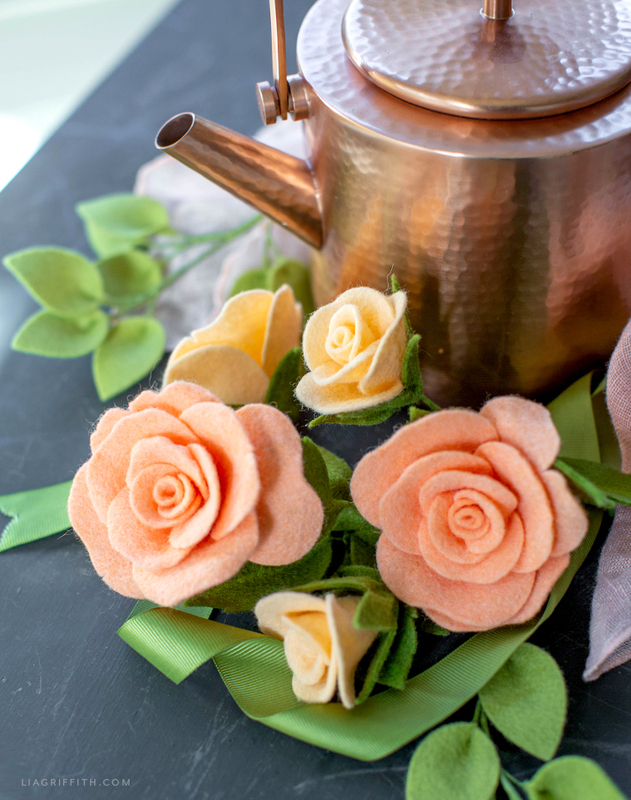 If you are new to making felt flowers, you may want to start with something a bit simpler. Our felt anthurium flowers are great for beginners. Or you could try our felt crocus flowers. 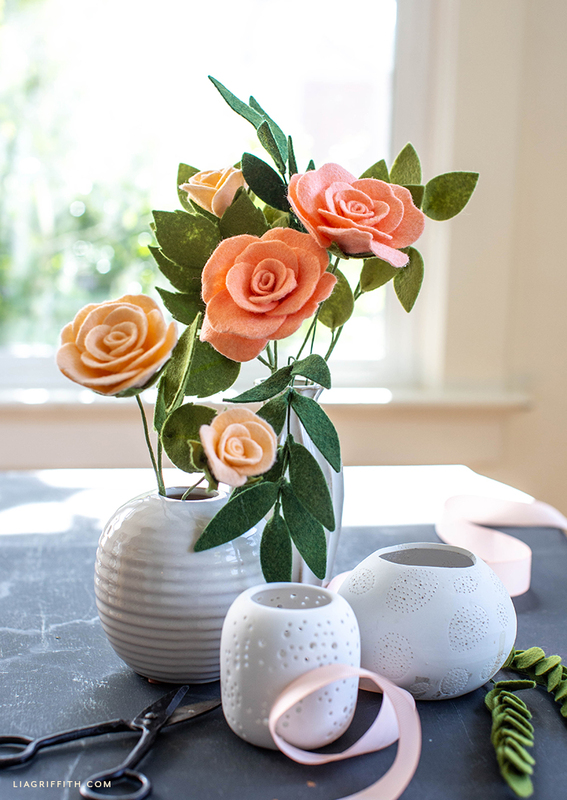 We think these felt tea roses and buds will look so beautiful in your home! Once you’re done crafting this pretty flower arrangement, you can bunch them together in a simple vase and place them on any table or counter in any room. 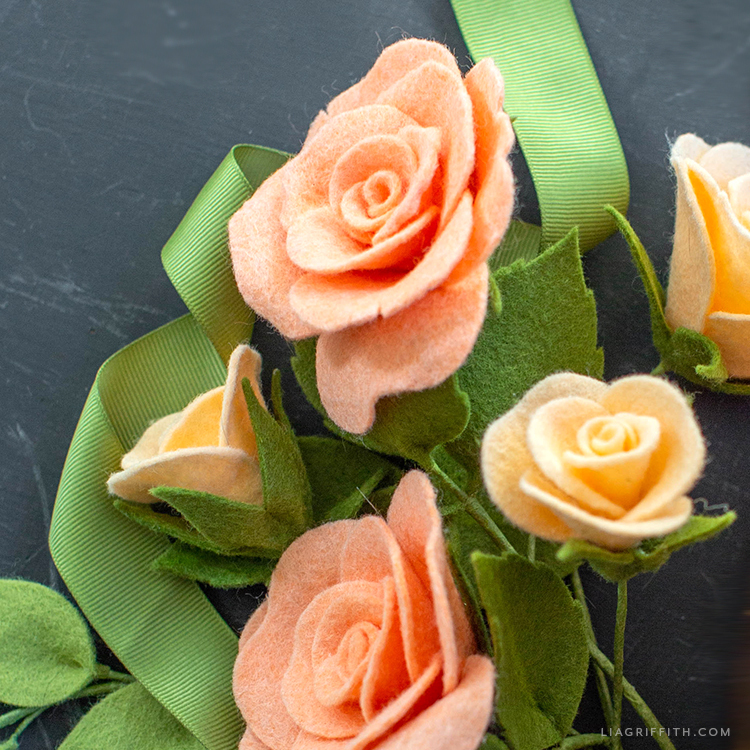 Another fun idea would be to gift these felt flowers to someone who loves roses. 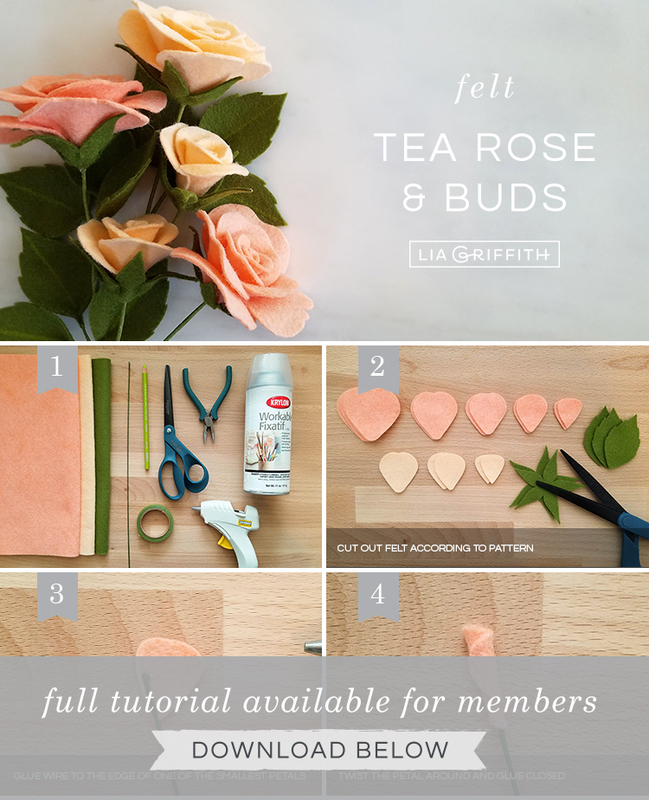 Also, make sure to share your felt tea roses and buds with us! We always enjoy seeing your work and hearing about how the craft process went. 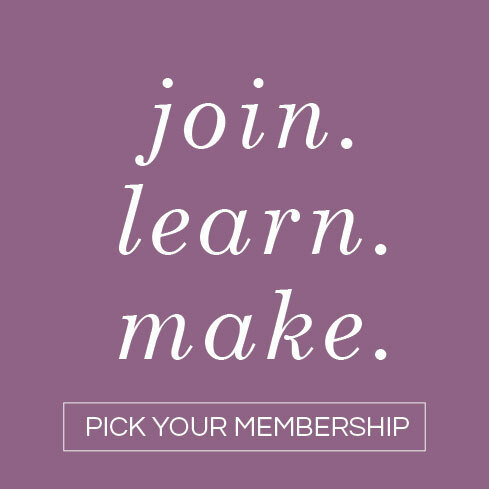 You can always post finished projects (or your work-in-progress) on our Facebook page for members. Another great way for us and other crafters to see your projects is to use the #MadeWithLia hashtag on your social pages. Gather your craft tools and materials. 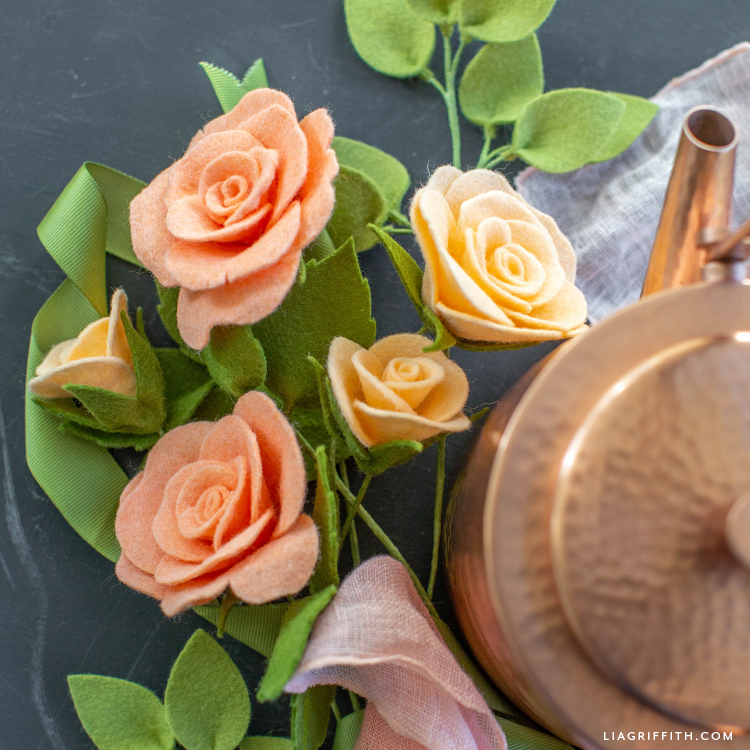 Then download our tea rose flower pattern below. Cut out your felt according to the pattern, using your Cricut Maker or scissors. Glue an 18-gauge floral wire to the edge of one of the smallest petals. Twist the petal around the floral wire and glue it closed. If you love to work with felt, we have more felt flowers for you to browse. 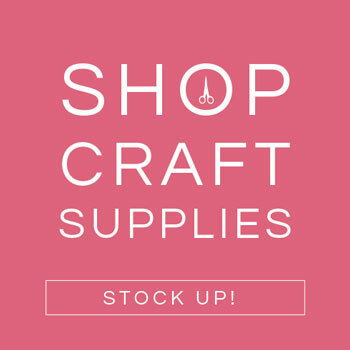 Or you can explore all of our felt crafts on the site, which also includes fiber and yarn. For more DIY inspiration, make sure to join us on Facebook, Pinterest, and Instagram. 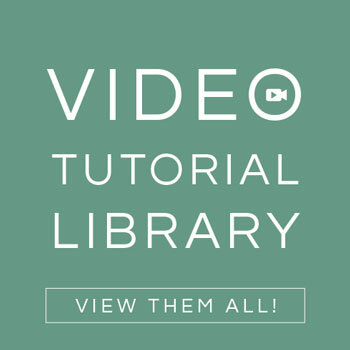 Or browse our YouTube channel for video tutorials on making flowers, home decor, and other beautiful projects you can cherish forever. 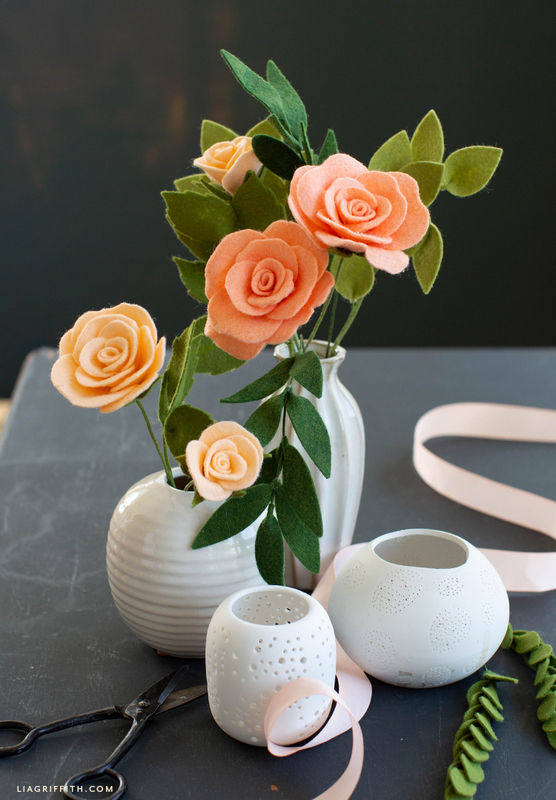 When is the clear fixative used in making the felt roses? Thanks! Whoops, we left that out by accident! Thanks for letting us know 🙂 . The PDF instructions have been updated to mention (in the last step) to spray clear fixative on the flowers to help give the petals a light hold, if needed.